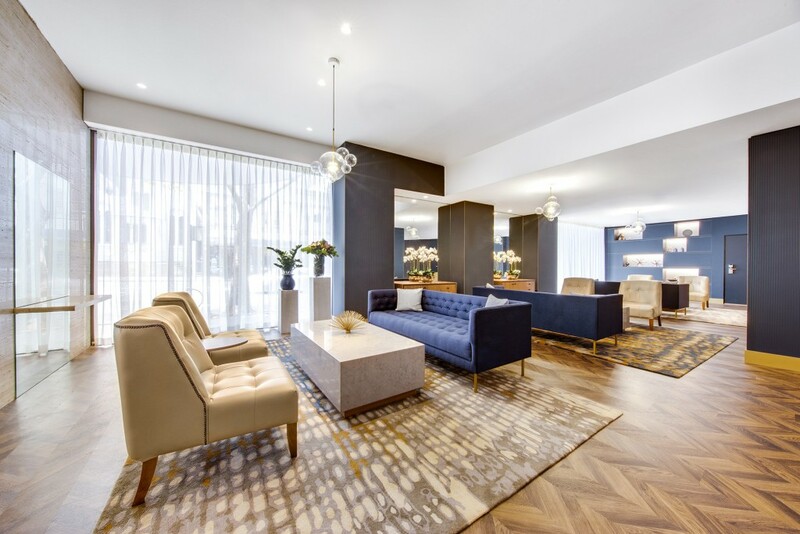 TFE Hotel’s Vibe Hotel Sydney has undergone a massive refurbishment and boy does it scrub up nicely. The refurb includes the opening of Sydney’s second, Storehouse dining concept. 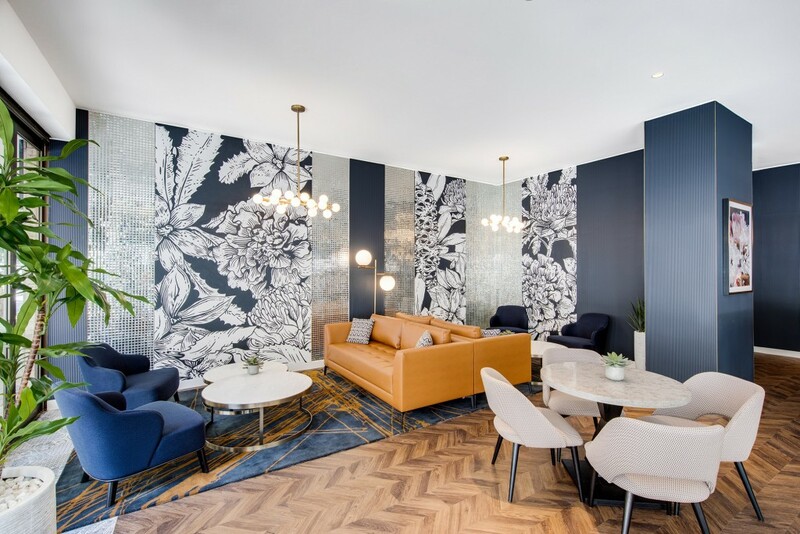 Towering over Sydney’s most iconic precincts and attractions in the heart of the city, Vibe Hotel Sydney’s contemporary refresh boasts an appealing new accommodation experience for leisure seekers and business travellers. The collaboration between TFE’s in-house design team and interior design studio, Des-signer, encapsulates the eclectic refreshed Vibe brand – that relaunched in 2015 – promising a journey of sensory spaces and a showcase of beautifully textured materials. Illuminating Goulburn Street in the CBD, the 4-star hotel the hotel’s transformation revealed a refreshed rooftop swimming pool with Sydney skyline views and a pretty snazzy ground floor. The transformation unveils first-rate facilities and 198 spacious guest rooms, including 13 suites, two conferencing spaces, a swimming pool, and well-equipped gym. 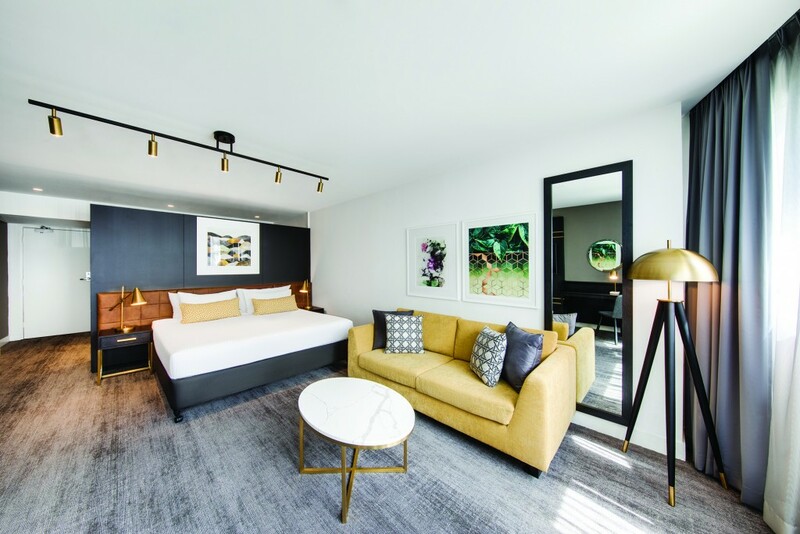 Inspired by a sophisticated colour palette of rich blues and natural timbers, the renovated guest rooms echo the detailed design of the 24-hour reception and offer guests state-of-the-art coffee pod machines, 55-inch televisions, and 24-hour in-room dining. 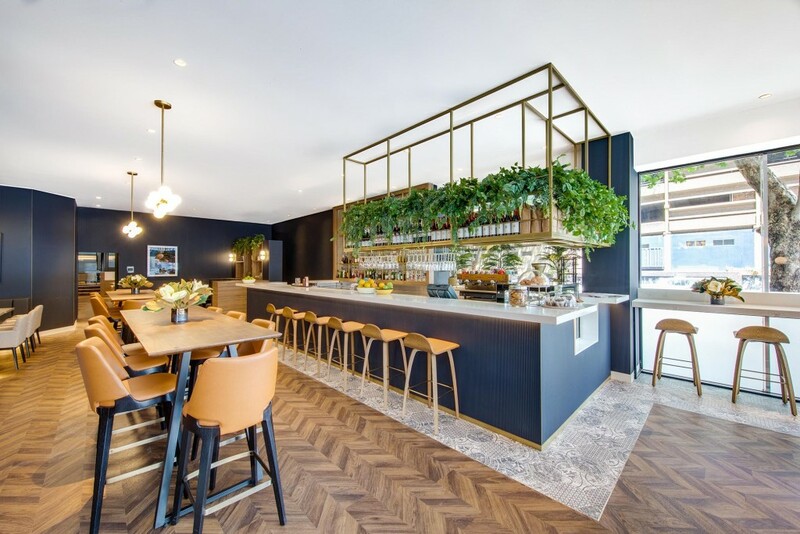 Vibe Hotel Sydney’s new bar and restaurant, Storehouse Sydney Central, joins the ranks of the delicious dining hubs and laneway bars on the hotel’s doorstep, catering to both the city worker and leisure traveller. For an exceptional meal with a local twist at any time of day, Storehouse is the CBD’s new go-to dining destination, framed by bold navy walls, brass detailing, and Apparition Media’s hand-painted Australian flora murals.